News. Louise Body. Wallpaper and Fabric Designer. I am thrilled to have one of my designs included in the 2019 Spring collection for leading wallpaper and fabric design house, Osborne and Little. 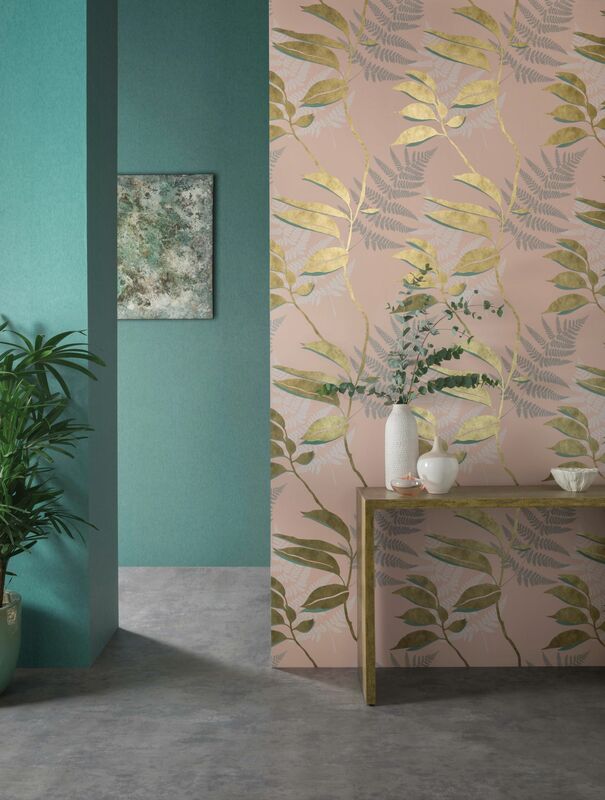 Inspired by my hand stencilled, gold-leaf wallpapers, this design 'Feuille D'or' comes in 6 gorgeous colourways and each colour features a different tone of metallic leaves. I am taking my Wallpaper printing workshops to Portugal! 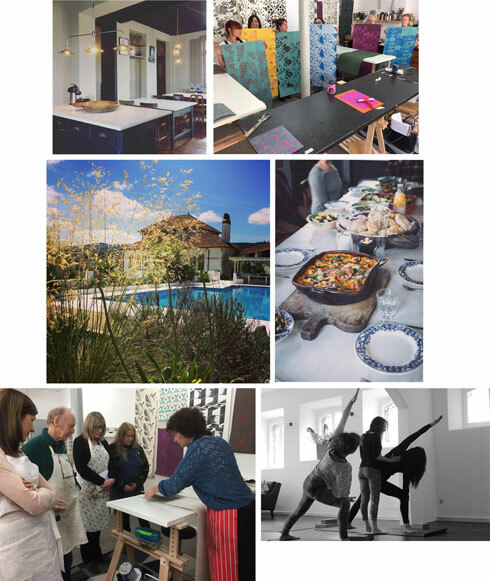 For a creative and yoga retreat come and stay in the beautiful Latas Country Villa, located In a sunny valley, set within the stunning Beira region of Central Portugal. Relax by the pool, eat amazing home cooked food and after your yoga sessions in the morning, come and learn how to make wallpaper with me in the afternoons. This is an amazing opportunity to re-charge your batteries, connect with nature and be creative. All transfers, food & board and workshops included from £630 per person.